Originally Published ten years ago - and shortly thereafter honored as the James Beard Foundation's Cookbook of the Year (2003) - this cookbook is today every bit as relevant as it was then. And now the modern classic is in easy to use Flexibound Paperback, with its hundreds of easy and foolproof recipes, from yeast breads and sourdoughs to trendy flatbreads and crackers to family favorites such as pancakes and waffles. Leading you through the steps of leavening, mixing, proofing, and kneading through shaping and baking, the experts at King Arthur Flour also include their best fried doughs, quick breads, batter breads, biscuits, quiches, cobblers and crisps, cookies, cakes, brownies, pies, tarts, and pastries. For more than 200 years King Arthur Flour has been in the business of making the highest quality key ingredient in all of baking: flour. They've done decades of experimentation and research in their famous test kitchens on how the various ingredients in baked goods behave and why. The Baker's Companion, a kind of culmination of generations of loving work, brings you more than 350 recipes that teach you which ingredients work together as well as which don't and why. It is this knowledge that will allow you to unleash your own creativity and to experiment in the kitchen. You'll get a complete overview of ingredients in chapters on flours, sweeteners, leaveners, fats, and more. You'll find information on substitutions and variations, as well as troubleshooting advice from pros at King Arthur Four. King Arthur Flour is the largest single educator of bakers in the world. Employee owned since 1996, the company conducts a yearly national baking class tour that has provided free baking classes to many thousands of bakers across the U.S. The company also publishes The Baking Sheet, a newsletter of recipes and baking information. The Baker's Catalogue, a wholly owned subsidiary, sponsors an online baking forum, The Baking Circle, on its parent company's Web site. The company's 2003 release, The King Arthur Flour Baker's Companion, was selected as one of the best cookbooks of the year by Food& Wine, People, and many other national publications. 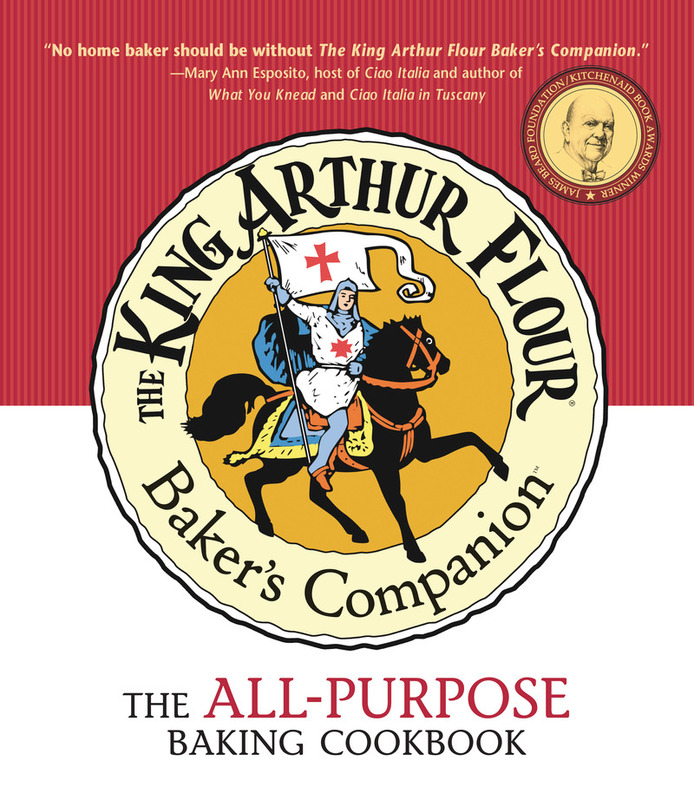 Other books by King Arthur Flour include The Original King Arthur Flour Cookbook, The King Arthur Flour Cookie Companion, and King Arthur Flour Whole Grain Baking. All the bakers at King Arthur Flour work from their 12-sided post-and-beam headquarters in Norwich , Vermont.